Not had any new products for a while, so we'll start off with these bad boys - Moon Custom Plugs. You have a wide choice of colours available to choose from, all of which combine uniquely together in a cool chemistry thing and make these cratered, colourful beauties. Each one is very individual, but we do try and match pairs up as best as we can. 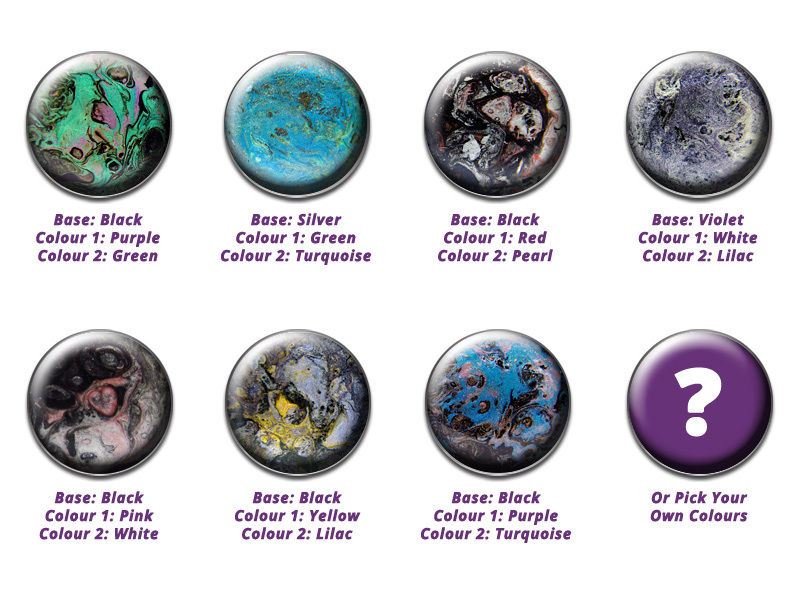 Not only is there a wide variety with the colours, but you also have a choice of the usual front and flare types for the surgical steel plugs. 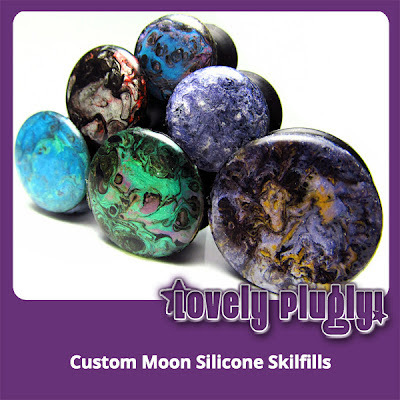 Fronts are finished off with a smooth glass-like resin -- for best results get these with domed fronts. We're also offering these as skinfills for silicone tunnels -- the front of these cover the entire front surface of the tunnel. 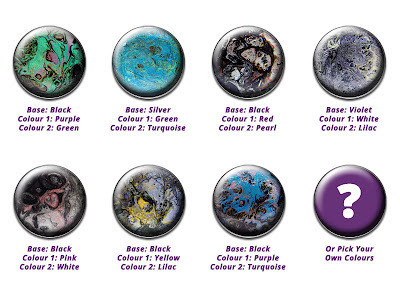 Sizes for both skinfills and surgical steel plugs start from 8mm (0g) and go up to 30mm (1-3/16"). 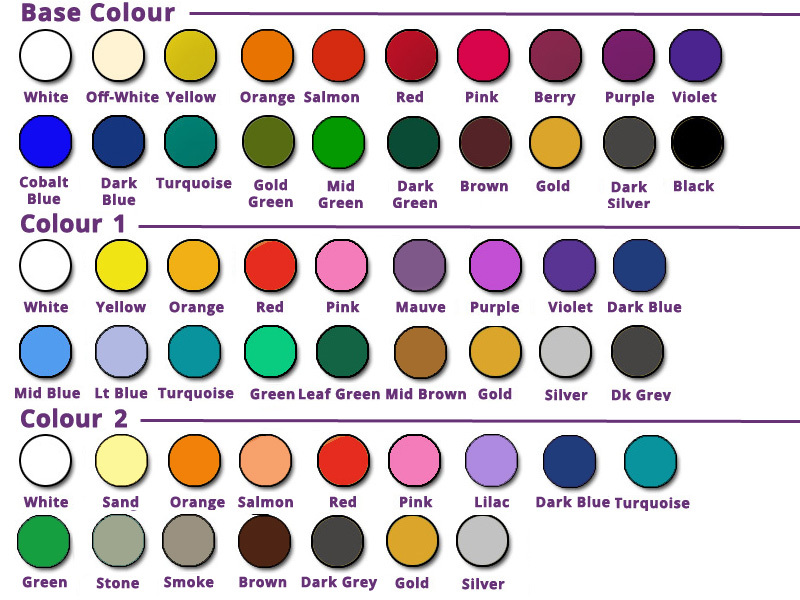 The surgical steel variety can be purchased here, and you can get the skinfills here.